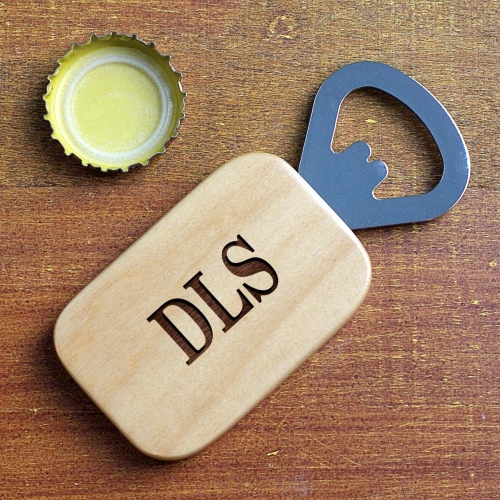 This top quality bottle opener makes a great birthday or Father's Day gift for anyone special in your life. It may be engraved with any three initials and becomes a useful bar ware accessory. Check it out for a personalized groomsmen gift, too! Great Item.. Letters should be alittle bigger though.